Mexico City winter cold is notorious, not 'cause it's so cold, but 'cause it's only combatted with a few wintry drinks (and perhaps a sweater). Mexico City gets colder than you thought. These five drinks will keep you snug. One of the big surprises facing visitors to Mexico City is NOT that temperatures drop in the winter months, but that this surprise has been going on since Europeans arrived here. Inevitably, most of the solutions to the problem come in the form of good native drinks. Some are exotic. Most are relatively seasonal. All of them are perfect for lifting spirits and reassuring, even when the cold is most bone-chilling. 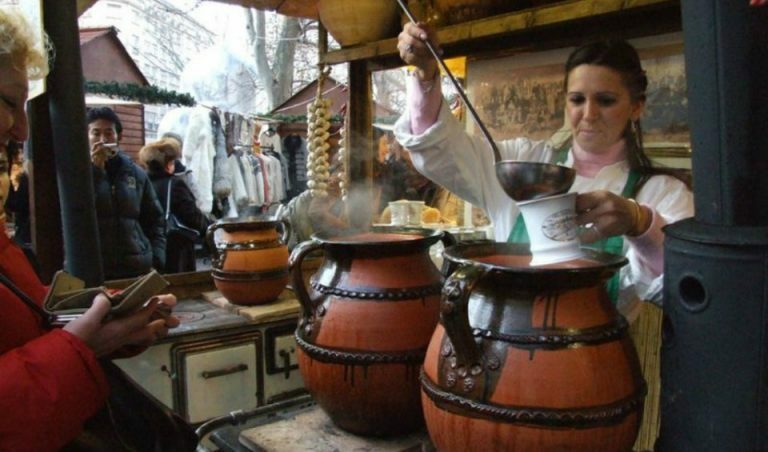 Mythical, Mayan and originally from Chiapas (where it’s often cold), you’ll only find Pox at one location in Roma Norte. 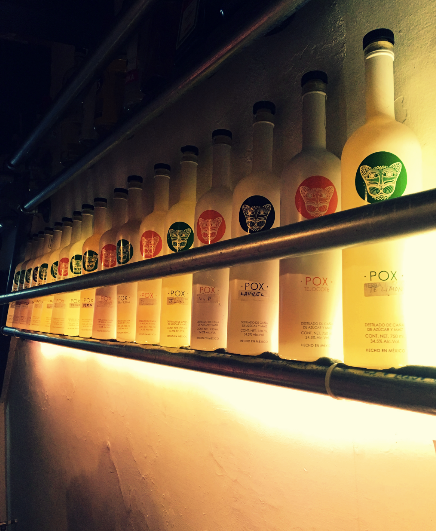 Once used in Mayan rites and ceremonies, Pox is distilled from corn, sugar cane, and wheat. For all its properties, it’s claimed to purify the blood and stimulate the digestive system all while preserving body heat. You can read more about Pox and where to get it here. 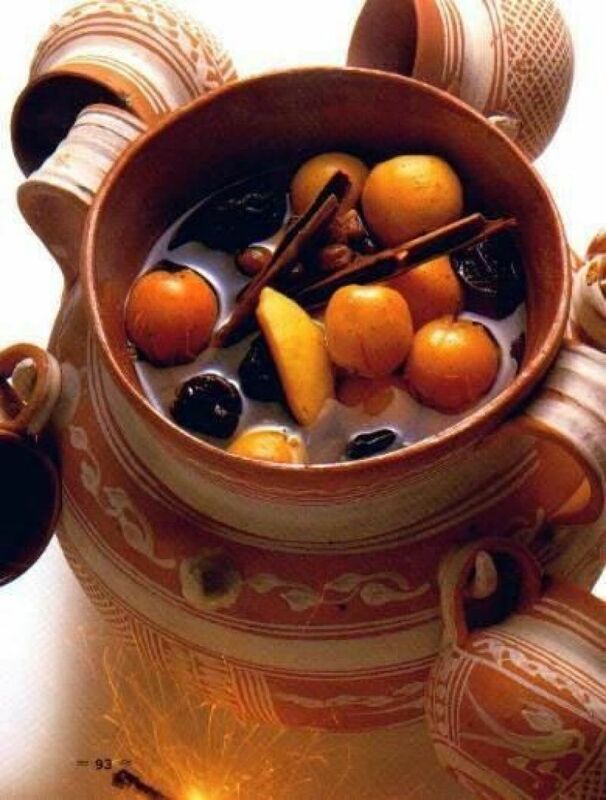 Really a take on that northern European winter mainstay, Mexican punch tends to have a lot more citrus and cinnamon, making it also an excellent pick-me-up when enduring Mexico City’s notorious gripe (common cold) invasions. Widely available in the long winter months, it’s just as reassuring, and often finished with a splash of rum or tequila. 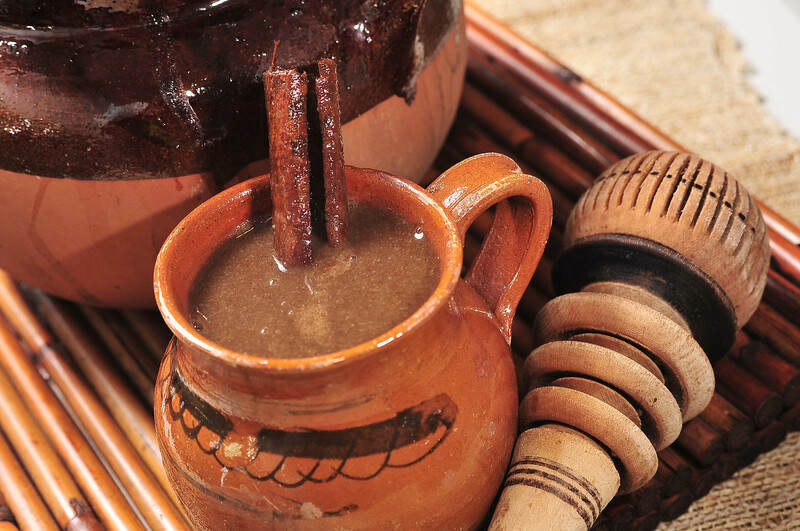 Champurrado really is a hot drink of Aztec origin, traditionally used in ritual preparations. Based on a mix of corn and cocoa, it’s more modern to dress it up with sugar. And cold mornings usually see it accompanied by some kind of tamale. Luckily, this one is largely endemic to the region too, though it has spread around the world. 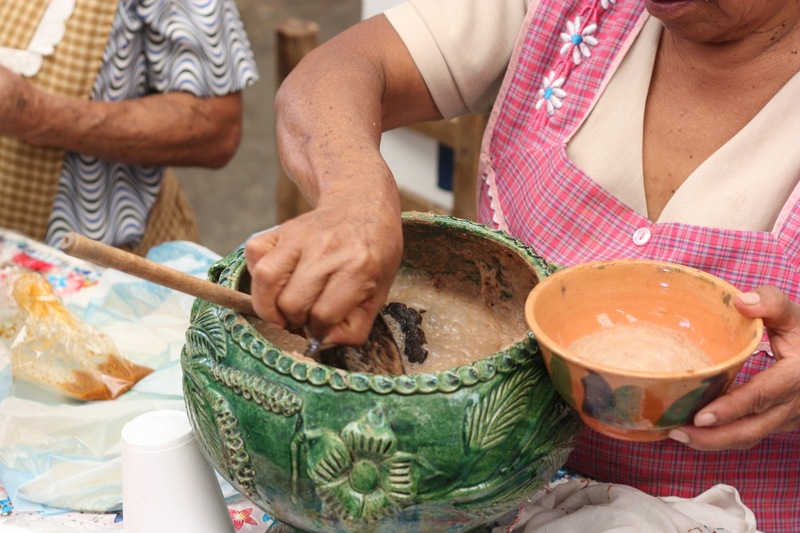 Traditionally made by extracting the butter from the cocoa nuts and then lightly beating it, today it’s more commonly mixed with milk, and in Mexico with some sweeter spices like cinnamon or clove. A good variety of high-end variants is available throughout the city. 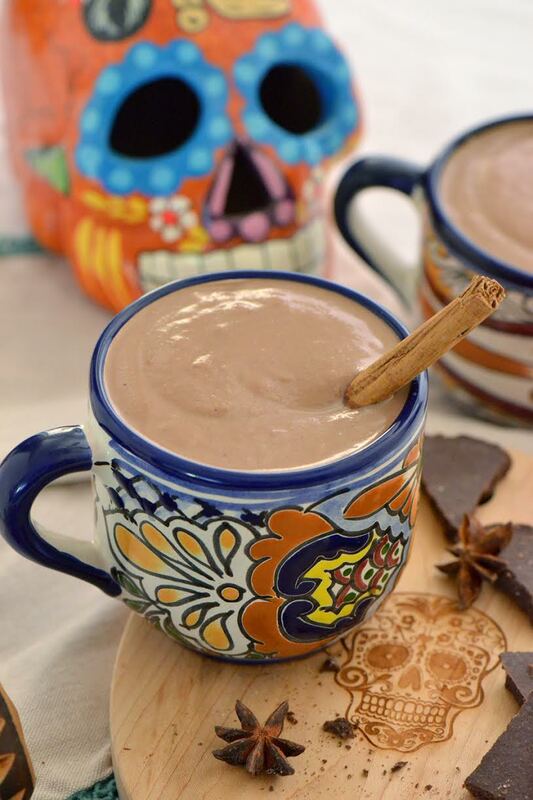 Forever symbolic, in part because of its deep pre-Hispanic origins, Atole is consumed mainly in Mexico and some Central American countries. Called “atoll” occasionally, it’s served as hot as possible to maintain that characteristic thickness, and unlike the champurrado, it’s prepared with almost any ingredient imaginable. Now wildly trendy, mezcal is one of the most popular alcoholic drinks in Mexico – for treating the common cold – and for combatting the winter cold. Though its use in certain cocktails is not exactly uncommon, you’ll also find it in a number of particularly wintery recipes for food. 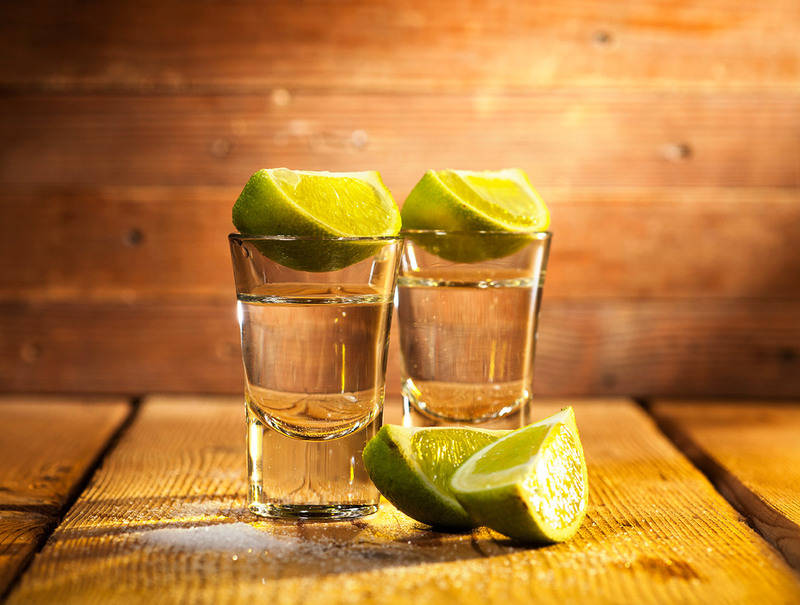 In moderation, mezcal is reputed to provide a number of health benefits, especially as an aid to digestion and as an excellent mitigator of cold. Better varieties can be found in a number of local, warm wintry lairs. Latin America's Favorite is Mexico City again, and for a lot of good reasons. Here are just 15 of the big ones to get you started. With more visitors than any place else in the region, Mexico City is Latin America’s Favorite for good reason. Here are just 15 of them! Mexico City is vibrant, vast and very important. Not just in terms of the space it occupies and the stone and brick from it’s made from, but Mexico City greeted more than 30 million visitors last year. That’s more than it’s entire metro-population (though not by much). Let’s look at why they came. Last year, at about this time, The New York Times had named the city the number one travel destination for 2016. Tourism searches on Google showed Mexico City as not just a Latin American Favorite, but in the top five tourist searches in the world. And of course, people have been asking for the last several years if it wasn’t the Next Paris, or the Next New York or the Next SOMETHING. The City government set itself to the task of figuring out just why people love coming here. These are the top 15 reasons they came up with, and ultimately they’re the reasons that Mexico City is Latin America’s favorite, and maybe your favorite too! 1) 185 museums, nine archaeological sites and four World Heritage sites? The cultural scene is enormous, rich and varied. There’s something for every kind of cultural traveler. 2) Fairs, festivals, conventions, meetings and extravaganzas cover music, food, movies, books, and trade in every kind of human activity, down to the annual clown convention. 3) Blockbuster events? Last year saw a Formula 1 race, an NFL game or two, the Tour de France, and a free Roger Waters concert in the city center. 4) Chosen for the sixth world C40 Mayors Summit in November of 2016, Mexico City is widely perceived as a world leader in combatting climate change. 5) The Metrobús system, originally based on one running in Bogota, Colombia, is now the biggest in Latin America. Stretching some 125 kms today, in 2017 no less than 90 Alexander Dennis Enviro500 double-decker buses will begin plying the length of Paseo de la Reforma, as Metrobus Line 7 officially opens. 6. The tourist program Sonrisas por tu ciudad, literally “Smiles for your city,” organized by the Secretary for Tourism, has benefited more than 200,000 people. 7. Mexico City’s Central de Abasto (pictured below), after more than 30 years sells 30,000 tons of merchandise (mostly food) and sells to about 30,000 people every day. It’s the largest shopping area in the world. 8. Mexico City was the first Latin American city to join the Rainbow Cities Network, which coordinates city-level actions to protect LGBTI citizens and residents. 9. Mexico City was chosen as the World Capital of Design for 2018, by the World Design Organization. 10. The Centro Histórico is the largest historical city center in Latin America, with 1,500 buildings designated as having historical, cultural, artistic or architectural value. That’s more than most tour guides can handle, but it’s also home the continent’s biggest Metropolitan Cathedral. 11. Mexico City’s first ever Day of the Dead parade was celebrated by more than 250,000 marchers, band members, onlookers and, yes, zombies. 12. The city’s El Médico en tu Casa program puts a “Doctor in Your Home.” It’s already recognized in America, Asia, and Europe, for bringing health services closer to people who can’t easily visit hospitals or clinics. 13. Mexico City also began the first Specialized Center for the Management of Diabetes anywhere in Latin America. 14. The Ecobici system (pictured below) is the biggest public bike system in Latin America, with 452 cycle stations and about 35 million trips made by 200,ooo riders every year. 15. And finally, the good old underground Metro network is the biggest in Latin America, too. With 12 lines 226 km in total length, about 5 million people ride it every day. Source: CDMX government, with information from International CDMX and the 4th Governmental Report CDMX, 2016. As Mexican wines increasingly aspire toward truly inspiring vintages, some of the best wine shops in the city are in fact taking notice. These are six of the best. Casa Madero may have been the first winery in the Americas, founded way back in 1597, and way up in Coahuila. But Mexico’s predominant “beer culture” has always given wine producers something of a long shadow to grow up in. Aguascalientes, Querétaro, Guanajuato, Zacatecas and Chihuahua all produce respectable wines, but it’s been the environs of Ensenada (the Guadalupe Valley, the Santo Tomas Valley, and the Ojos Negros Valley) that have really busted the Mexican wine scene out onto international lists of “respectability.” Some parts Coahuila (the Valley Of Parras, and Cuatro Ciénagas in particular) still hold their own – but most wine enthusiasts agree, Baja’s got the wine to beat. Mexico exports wine around the world. According to the Mexican Wine Council, about 400 brands of wine are currently being produced in the country, and these increasingly appear on the international lists as being wines to watch (and to taste). But those lists aren’t everything. Even the most sophisticated drinkers know today that plenty is coming each year from Mexican wineries that’s worth taking note of. Yes, you can still find plenty of good Mexican vintages mixed in with the international offerings on the shelves at Liverpool. But the wine shops below are pretty active at pushing good wines, from Mexico, onto more Mexican tables. Vinoteca has three locations in and around the city and carries a wide range of Mexican wines, and still more around the country. They do a fair internet trade in wines too, but stopping in lets you pick the brains of their knowledgeable staff. La Contra, also with shops all over the country, is one of the city’s leading advocates for the Mexican wine industry. With a capital location in Roma, it’s an easy and relaxed place to pick up recommendations, or indeed, to sample some of the best bottles coming in. Á de Acento offers a very well-regarded restaurant, but the gourmet shop offers plenty that’s pure Mexican and well worth a bottle or two. In fact, prices are very reasonable, but there’s also usually something special hidden away in the shelves that inquiring customers will be very pleased to find. Another in the list of combo restaurant and gourmet shops, Amaya has made a big splash with their list of “vinos raros.” Far from weird, many of them are fabulous. They’re also generally available in the shop, no reservation necessary and many of the best are, in fact, domestically produced! Don’t expect friendly service. La Europea is still trying to figure out in which decade they’re doing business. But for all the wood-boxed bacalao these people sling during the holidays, they’ve always got a ton of good wine, too. With a good number of branches in and around the city, calling them one of the best wine shops in Mexico might be a stretch, but they do a lot of business, and for that, they always offer a ton of good Mexican wines too. Si Mon is run by the chefs at Broka Bistrot, practically next door. And the emphasis is on local, good, and even inspiring wines. One of the best things about shopping at a wine bar is after all, that there is usually a bottle open. And for that, including Si Mon in a list of the best wine shops is practically a given.